With only one percent of college graduates in the United States considering a career in the oil and gas industry, perceptions of the industry need to change to attract top talent to the service, supply and manufacturing sector. PESA Member Companies are collaborating on strategies to attract top talent to collectively move the needle. 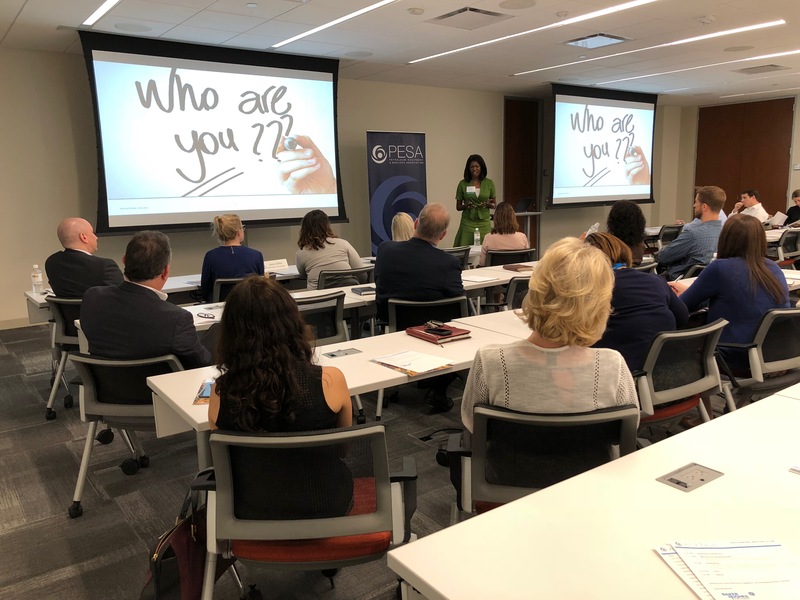 PESA’s Human Resources Committee, partnering with the Engagement and Emerging Executives committees, held a recent roundtable about developing culture on May 15 at Baker Hughes, a GE company. 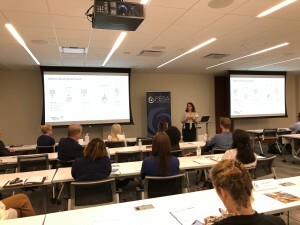 Leah Carter, University Affairs Manager, Halliburton, and Laura Cofino, Global HR Business Partner – Rod Lift Systems, Baker Hughes, a GE company, shared best practices. Committee Chair Dave Warnick, VP Human Resources, Weir Oil & Gas, who moderated the discussion. By 2020, millennials will make up more than half of the U.S. workforce. Citing a survey completed by students at 30 top schools, Carter said two things attract these workers to a company: people and culture. Carter advised the audience to consider their Employer Value Proposition, which should include details on how the company engages their workforce, how it communicates the company values and humanizing the industry. A workforce may have a different perception about the company than leadership might expect, so it is important to be in tune with employees, discover what they value and communicate how the company can provide it. She suggested publicizing community engagement, demonstrating IT advances, and showcasing the culture and people of the company. Cofino discussed how Baker Hughes developed its culture after a merger in 2017 with GE Oil & Gas. They surveyed employees and created an integration team comprised of staff from both organizations. The survey indicated the employees valued customer service, employee training and development, and collaboration, so the integration team was able to plan team-building exercises that emphasized those traits and create a collective corporate culture. The PESA Human Resources Committee holds bimonthly roundtable events such as this to educate PESA Member Companies on the various trends, challenges, and solutions affecting global and domestic human resources departments. Interested in joining a committee? Contact Molly Determan, PESA VP Communications & Member Engagement.